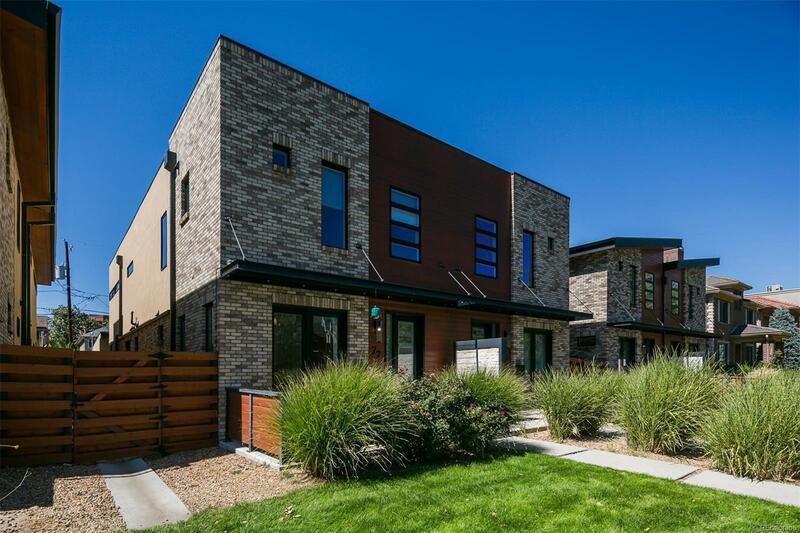 Move in ready classic, clean and modern Cherry Creek townhouse. You will love the central location on a quiet block, just a short distance to Cherry Creek Mall, restaurants and stores. This property is very lightly lived in and meticulously maintained. Three large bedrooms on the second floor are unusual for this neighborhood. Enjoy the spacious but low maintenance front and back outdoor spaces, along with the extra large third floor roof deck which wraps 180 degrees. First floor has an open and light floor plan. Kitchen, family room and dining room all flow to a wall of doors to the backyard patio and garden space. Top of the line appliances. Etched glass wall enhances the staircase. Wood floors through first floor, basement and main stairs. Master suite features a walk in shower and walk in closet. Large rec room, bar, wine cellar, large bedroom and full bath in the basement for comfortable entertaining. Generous storage. Two car garage.